Champs! (134/365 year 3) – Annoyingly Boring? Guest photog tonight as I was at work while my boys (far left and far right) were a part of a championship performance! Congratulations to all the Mariners. 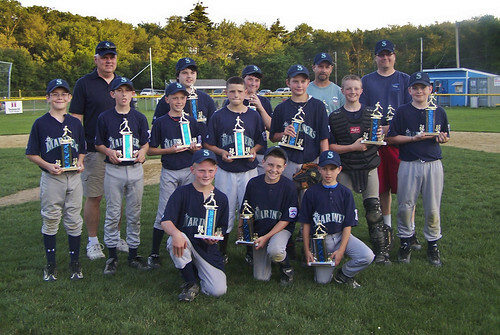 Winners of the Rockland Little League Major League Championship series 2 games to 0. Congrats also to the Phillies, they played a good series and had a great year. I never thought I’d live to see a Mariners championship!